How many towns are in the JUNK JAUNT®? 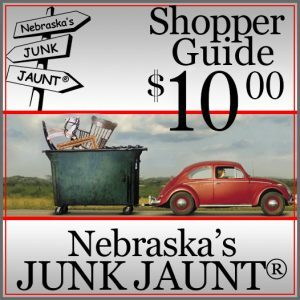 Each year there are about 35 villages and towns that are part of Nebraska’s JUNK JAUNT®. About 20 towns are located on the actual Byway ‘loop’ while the others are located on both the west & east sides of the loop and in the center of the ‘loop’. Each JUNK JAUNT® town organizes itself so sales and events can be as unique as is the town itself.